A spectacular backdrop of Morning clouds over the Pacific Ocean beyond the par 3 12th hole of the Bandon Dunes Course of the Bandon Dunes Golf Resort in Bandon on the southern Oregon Coast. This is a tricky par 3 with different pin placements that require strategic thinking. The pot bunker in the front is instant disaster if close to the lip. The shot may require playing sideways. This was the first hole completed on the Bandon Dunes Course and the first hole completed of all the Bandon Dunes courses. 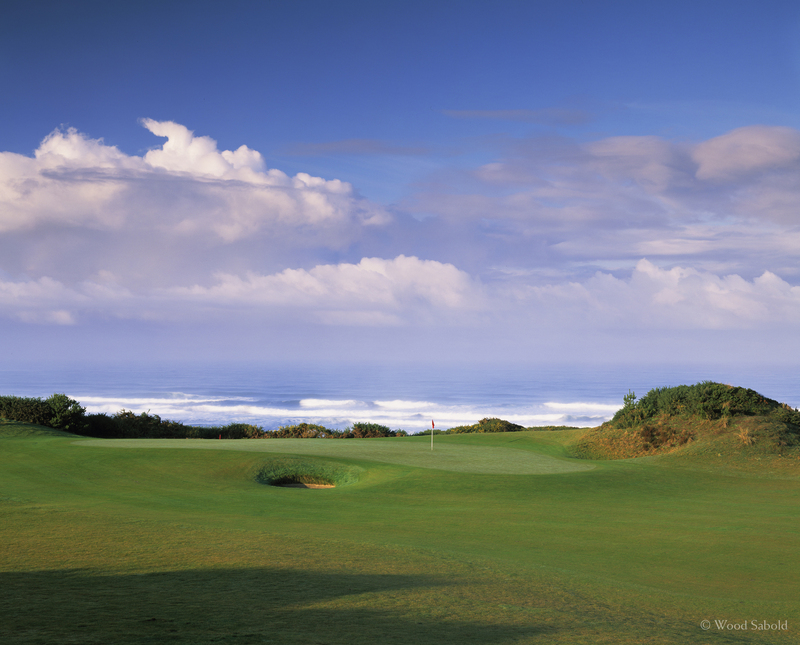 The Bandon Dunes Course was the first course of the Bandon Dunes Golf Resort opened in 1999. Course architect, David McLay Kidd, DMK Design.